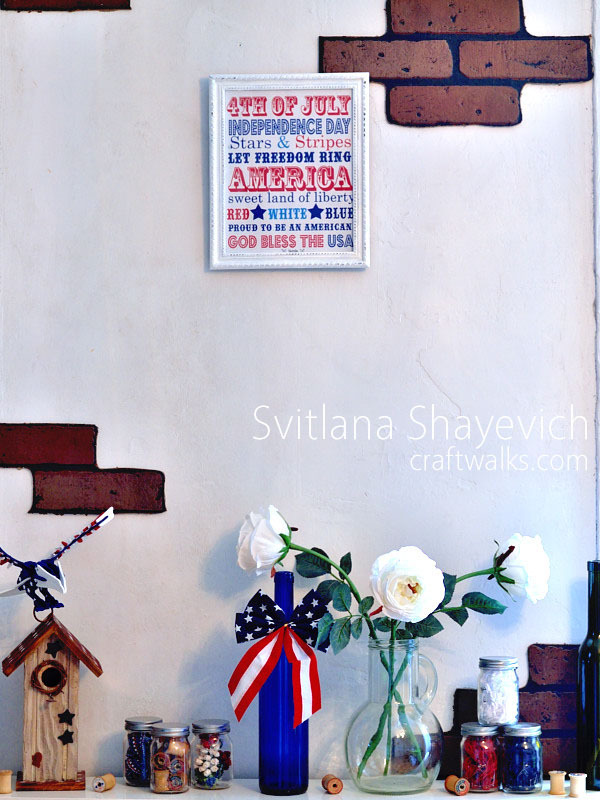 Today I wanna share a bit of patriotic home decor. I know people usually publish such posts a while before the 4th, but I put it on just like a couple days before and then was too busy celebrating, barbecuing and eating s’mores. It’s been only five years since I moved to US, and it’s only a second year when I’m into home decor. 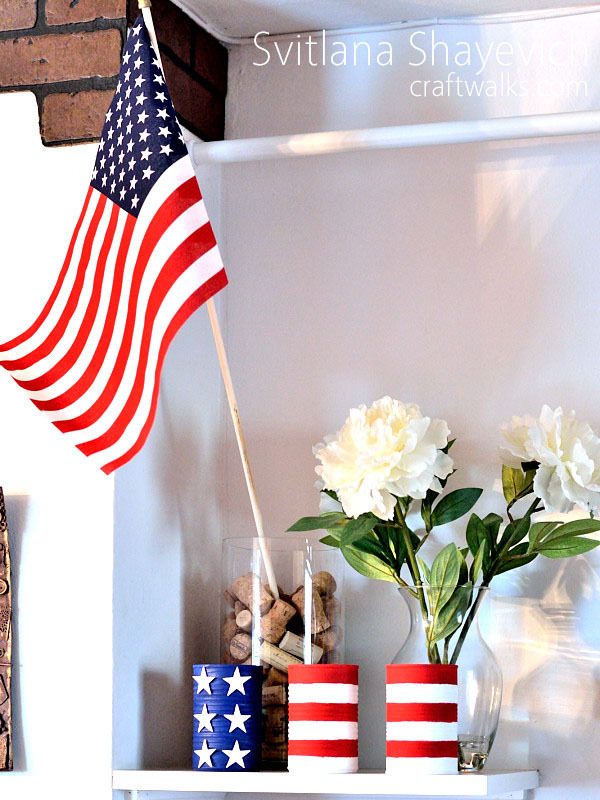 And before the only decoration I had for 4th of July was a flag. This year I wanted to add something more. There were some shopping, some DIYing. 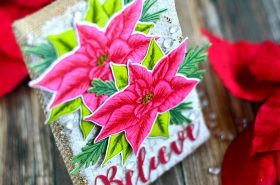 This simple DIY is probably my favorite. 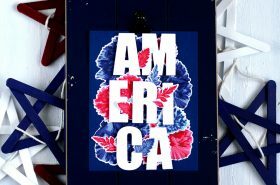 I just painted three cans mimicing American flag, added stars which I made from shrink film (die-cut them and heated with my heat gun). 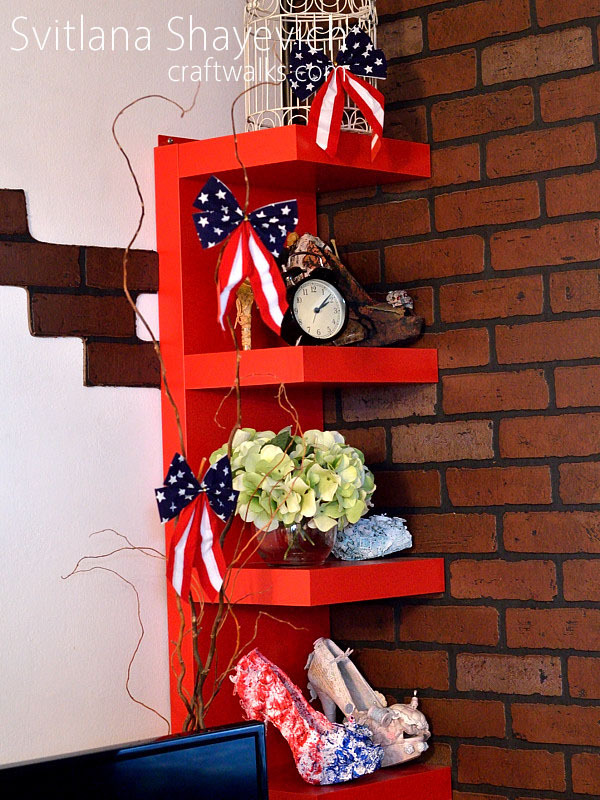 Added some bows from dollar tree… and can you stop a new shoe on my shelf? It was one of the main projects from this decor. Stay tuned, I’ll show it in details in a couple of days. 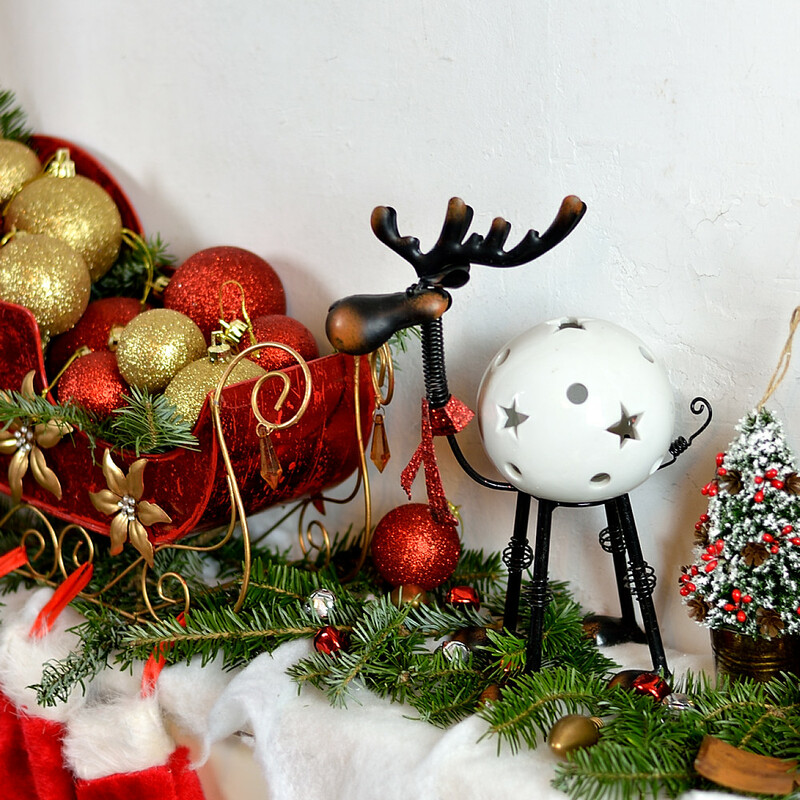 Some more decoration takes place in another area. 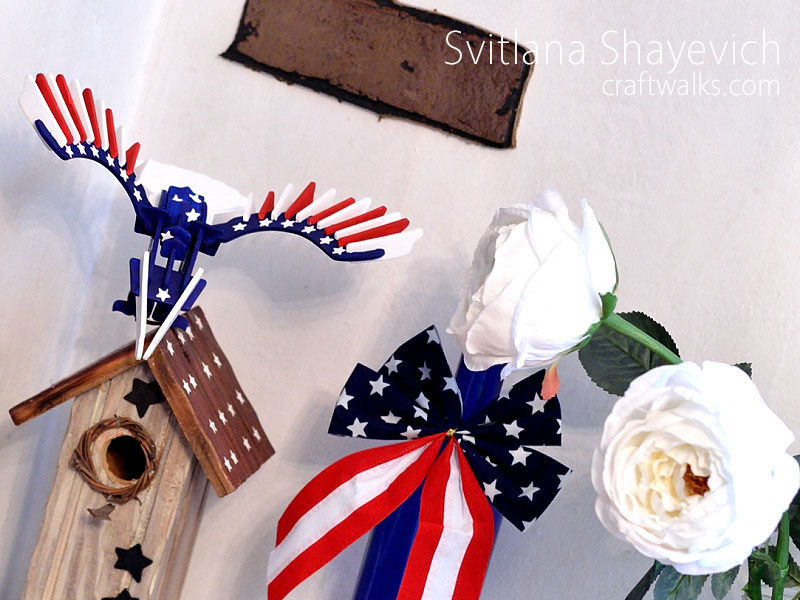 A framed printable (took it here) on a wall.. .. a blue bottle with dollar tree bow, flowers .. 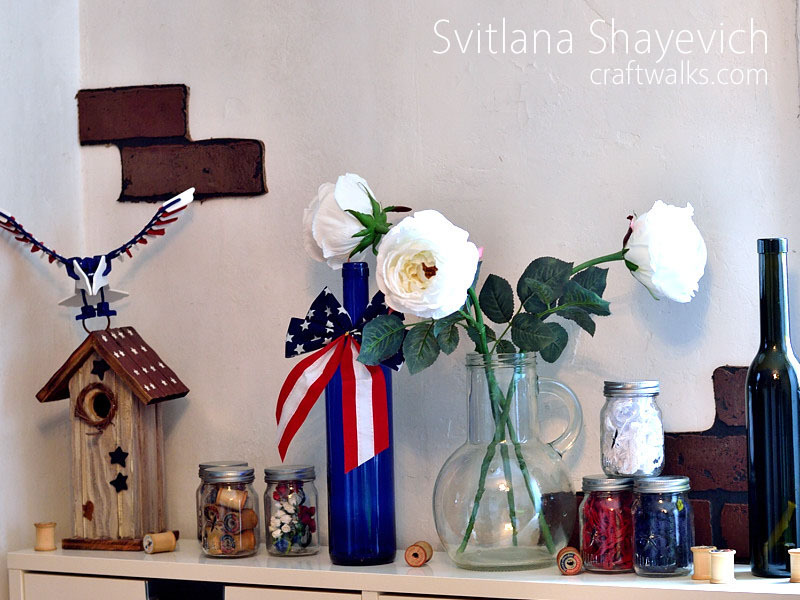 Recently I got 6 Mason Jars from Tim Holtz, wanted to used them in the decor as well. But didn’t quite had anything to put inside. So started improvising. 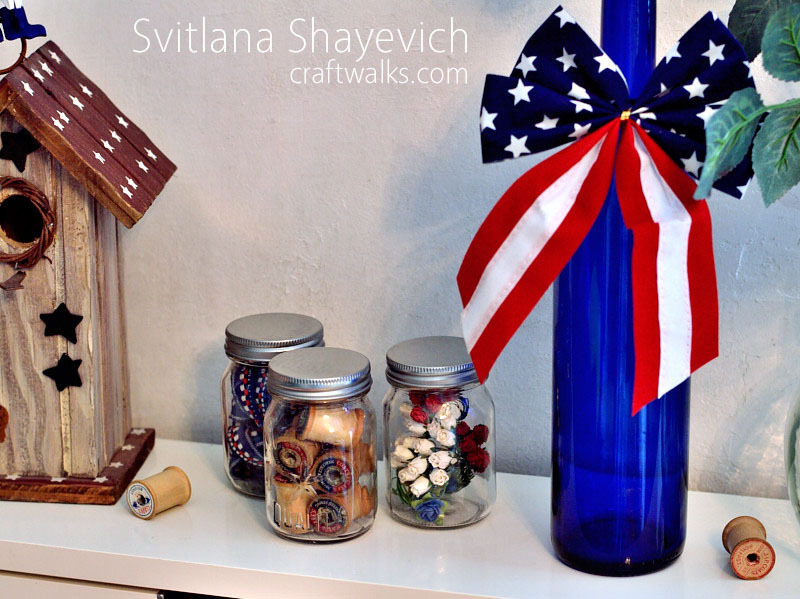 Three jars were filled with lace of flag color. 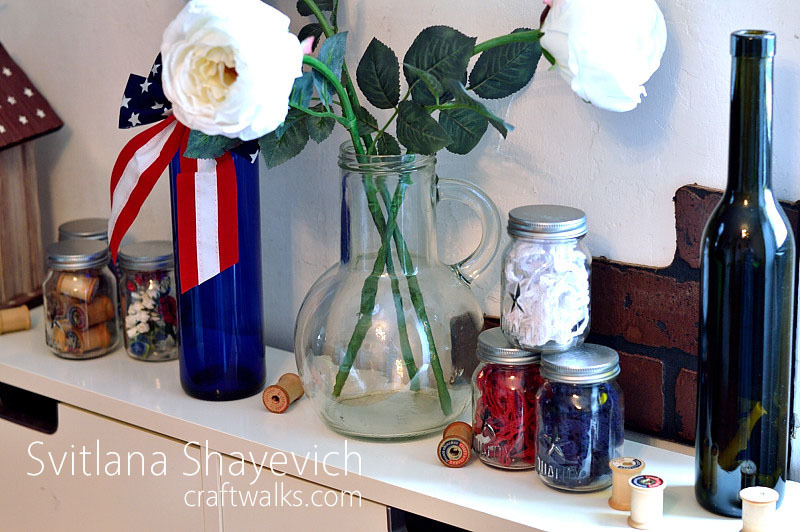 Another three are even more random – paper flowers, a trim and vintage spools. Another thing I wanted to add to my decor was an eagle. So ordered 3D puzzle from Amazon, painted it, adhered stars (these are just paper die-cuts). I really like how it looks altogether! Why I didn’t do it before? Already have ideas of more decor, but those will go for the next year. What about you? 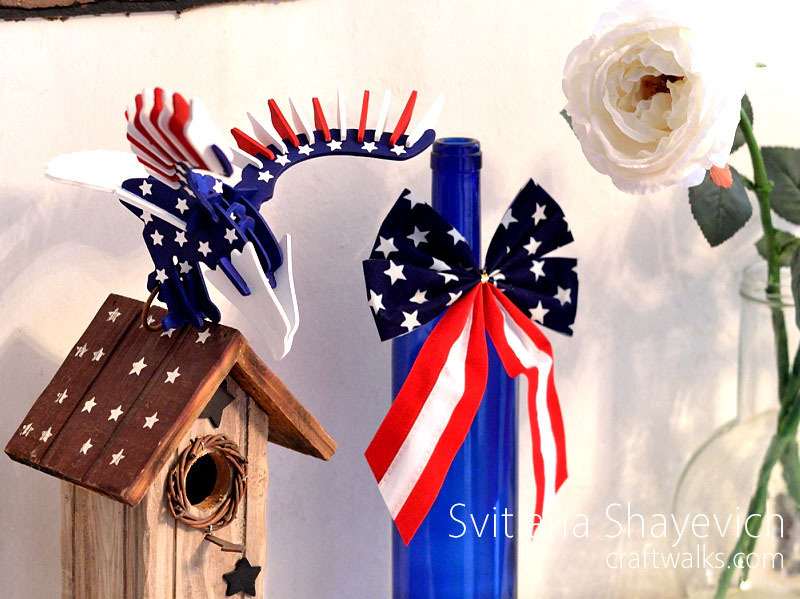 Do you like putting up a patriotic decor? Wow you are all kinds of creative! I like that you have all different things. Some simple but lot’s of fun and some more involved. 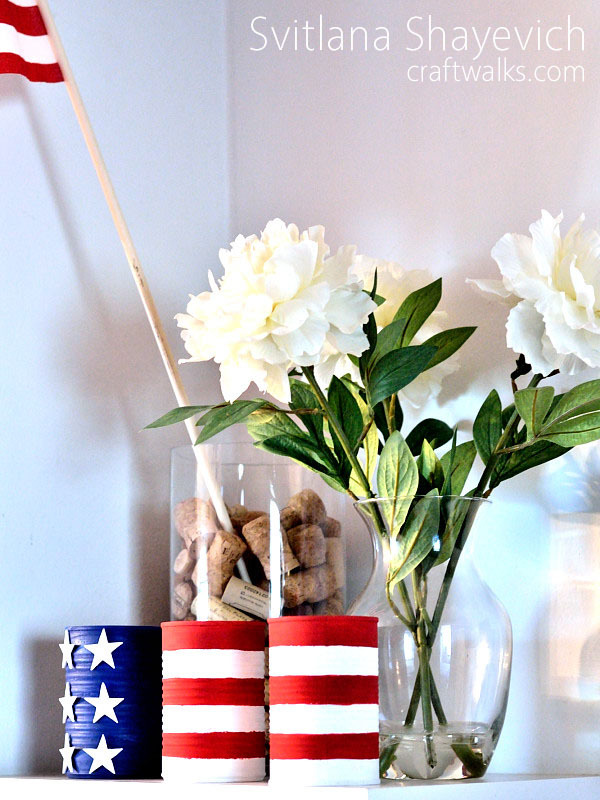 I like the jars with red, white, blue things in them. Simple but clever. 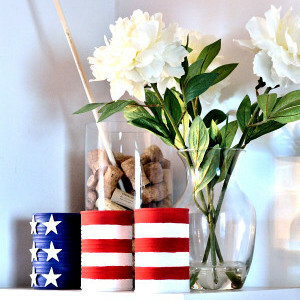 Especially I love finding some decor potential in everyday things. I do not have a lot of “special” things yet (and frankly do not have enough space to store everything I’d like to have).